Bonnie Mae Mead of Springport passed away January 5, 2019 at the age of 89. She was born in Ninnekah, Okla., November 16, 1929, the daughter of Tracy and Neva (Beckwith) Gray. Bonnie was a graduate of Everett High School, class of 1947. She worked for Seifert’s Dress Shop for many years and also for Springport Schools as a bus driver for 35 years before enjoying retirement. Bonnie was a member of Pope Church. She is survived by her daughter, Marlene (Tom) Sebastian of Springport; daughter-in-law, Cathy Mead of Marshall; grandchildren, Jason (Nancy) Sebastian, Carrie (Steve) Davis, Alison, Curtis and Marcus Mead; nine great-grandchildren; brothers, Dwain (Joanne) Gray, Glen (Betty) Gray. Bonnie was preceded in death by her parents; sons, Wayne and Kenton Mead; brothers, Dale, Edwin, Tracy and Gale Gray; and sisters, Garnet Bywater, Geraldine Bowers and Gwen Gray. No services are planned at this time. Interment will take place in Pope Church Cemetery at a later date. Those desiring may make memorial contributions to Pope Church or the Springport Public Schools music department. Arrangements were entrusted to the Mills Funeral Home in Eaton Rapids. Please visit millsfuneral.com to place online condolences or to sign the guest book. Edward M. Breier went home to be with our Lord on January 7, 2019. He was born in Lansing on September 28, 1941. He graduated from Eastern High School in January 1960 and finished one term at MSU. Edward is survived by his wife, of 57 years, Cathleen; son, Stephen Breier; and daughter, Melissa (Keith) Springstead. He has six grandchildren and two great-grandchildren. He worked for Apco Inc. from 1960-1976 then started his own business, ACE Appliance, from 1976-1989. He started a new adventure, with his wife, Cathleen, as OTR drivers for Gainey Transportation out of Grand Rapids until 2004 when they retired. He worked, for a short time, for Advent House Ministries as a mentor for appliance repair. Ed was involved as a 4H leader and loved teaching children. He loved telling stories of his past and sharing his knowledge. You could always count on a smile and an occasional practical joke. Ed had a passion for creating new things out of old things. He was a great craftsman with stained glass and wood. Nothing was impossible. He believed you come into this world with only your name and you leave this world with only your name. That is why Ed believed in doing business with a handshake, with his word as his bond. He will be missed by many whom he met on his journey through life. There will be no service as per his wishes. Cards are welcome and should be mailed to: Cathleen Breier, (C/O Melissa Springstead) PO Box 16, Woodland, MI 48897. 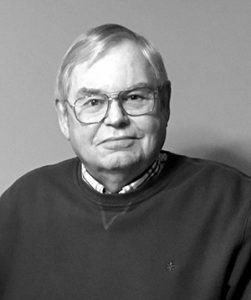 David Arthur DeFrates, 79, of Charlotte, passed away Tuesday, January 8, 2019, at Hayes Green Beach Hospital in Charlotte. He was born March 3, 1939, in Indiana, the son of Arthur and Isabel (Kelly) DeFrates. Dave graduated from Charlotte High School in 1957. On December 12, 1959, he married Margaret Ann Kline. As many of Dave’s friends can attest, he was a walking encyclopedia. He loved knowledge and enjoyed sharing it with others. Dave was a charter member and past vice president of the International Coleman Collectors Club. He was instrumental in organizing and hosting their annual convention, which took place in Charlotte in 2014. He also served as president and was an active member of the Mid-Michigan Model A Club and the Gold Wing Road Riders Association. Dave was also currently serving on the Maple Hill Cemetery Association Board and was a member of the Eaton County Buck Club. Dave retired from GM in Lansing after many years of faithful service. He also enjoyed spending time outdoors, either snowmobiling, hunting, or fishing. Dave is survived by daughter, Cheri DeFrates; best friend and companion, Joy Mogg; siblings, Doug DeFrates of California and Pat Humphrey of Arizona. He was preceded in death by his parents; wife, Margaret in 2011; brothers, Phillip DeFrates, and Mike DeFrates. Funeral services will be held on Monday, January 14, 2019, at 11 a.m. at Burkhead-Green-Kilgo Funeral Home in Charlotte, with Pastor John Bailey officiating. The family will receive friends on Sunday from 1 to 4 p.m. at the funeral home. Interment will follow at Maple Hill Cemetery in Charlotte. Those desiring may make contributions in Dave’s honor to the Charlotte Church of Christ, 64 Vansickle Drive, Charlotte, MI 48813. 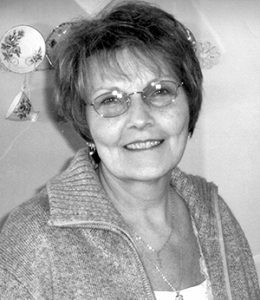 Mary Jeanette Wilcoxson, 74, of Charlotte, passed away Friday, December 21, 2018, at her home with her family by her side. She was born July 3, 1944 in Lansing, the daughter of Marvin and Mary (Parks) Henrys. Mary was a free spirit that lived life to the absolute fullest. She was passionate about having a good time no matter what her circumstances were. She enjoyed fishing, bowling, water skiing, and shopping. She was a fiercely devoted mother and grandmother. She loved spending time together with her family. Mary is survived by her daughters, Michelle (Jim) Mead of Charlotte, Pamela (Brian) Wagner of Lansing, Sandra Patten of Lansing; grandchildren, Ryan (Lisa) Patten, Nikki Mead, Mallery Mead, Russell Bernheisel; great-grandchildren, Lily, Landon, Eli, Maci, Isabelle; brother, Norm (Loraine) Henrys; sisters-in-law, Sharon Henrys, Leah Henrys; and brother-in-law, Patrick McClain. She was preceded in death by her parents; granddaughter, Melanie Posey; and siblings, Marvin “Bud” Henrys Jr., Patricia (George) Kirchmeier, Michael Jon Henrys, and Beverly McClain. Those desiring, may make contributions in Mary’s honor to Grace Hospice, 2205 Jolly Rd., Okemos, MI 48864. 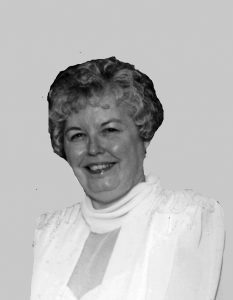 To view Mary’s obituary online or to leave a condolence for the family please visit burkhead-greenfuneralhome.com. 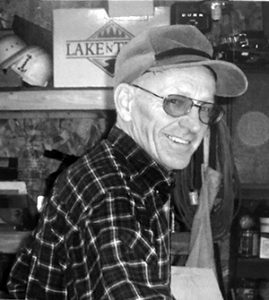 Benjamin Lee Hall, 80, of Alpena passed away Friday, December 21, 2018 at Medilodge-Alpena. Lee was born in Charlotte on January 23, 1938 to the late Theron and Stasia (Holcomb) Hall. He graduated from Charlotte High School in 1957. He attended the University of Michigan, where he played football and graduated in 1962 with a bachelor’s degree in education. He went on to earn his master’s degree in mathematics from Boston College. He taught math at Alpena High School from 1964 until his retirement in 1999. He received the outstanding educator award twice, coached varsity football for many years and was inducted into the Michigan High School Hall of Fame in 2005. Lee was a member and served as an elder in the Community of Christ Church. He was a wonderful husband and father. Surviving are his wife of 54 years, Sandra; four daughters, Lynn (Bob) Hollingshead, Heather (Jeff) Deitrick, Stephanie Hall, Blythe Morales; 11 grandchildren; two great-grandchildren; brother, Dennis (Nancy) Hall; two sisters, Ellen Force, Gloria Armbrustmacher; several nieces and nephews. Cremation arrangements have been handled by the Bannan Funeral Home. A memorial service will be held for family and friends at a later date. In lieu of flowers memorials may be made to Community of Christ Church or Alpena Boys and Girls Club. Sandra Lee Blodgett, of Charlotte, a devoted wife, mother, and grandmother, died Saturday, December 22, 2018. Sandra, 74, was born December 27, 1943, in Lansing to Vance Sr. and Evelyn (Moore) Disbrow. On September 26, 1970 Sandra married Dennis Blodgett and together created their legacy. Sandra was a member of the Chester Gospel Church. She devoted most of her time as a volunteer there teaching Sunday school and being the office secretary. Sandra was also very active with the Child Evangelist Fellowship. Her hobbies included reading, sewing in her early years, and spending time with her family. Sandra is survived by her husband, Dennis; children, Michelle (Dan) Glover, David Blodgett; grandchildren, Roselynn (Tim) Corcoran, Peyton Burkhart; great-granddaughter, Ashlyn; sister, Judy (Ed) Volz; and many nieces and nephews. Sandra is predeceased by her parents and brother, Vance Disbrow, Jr.
Funeral services were held Friday, December 28, 2018 at 2 p.m. at Pray Funeral Home, with pastors Marc Livingston and Dennis Weeks officiating. If desired, the family suggests memorial contributions to Child Evangelist Fellowship. Friends and family are encouraged to share memories of Sandra on her tribute page at PrayFuneral.com. 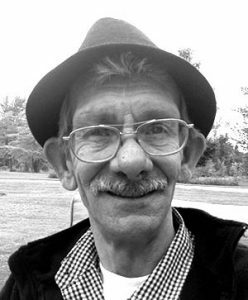 David Jon Orrison, a self-taught, hardworking, and extremely dedicated carpenter, died Thursday, December 20, 2018 with his family by his side. David, 77, of Potterville, was born November 15, 1941, in Marshall to Guilford and Dorothy (Sipe) Orrison. He graduated from Marshall High School in 1959. Following high school, David created David J. Orrison Inc. David married Marilyn Anne Bartlett on June 30, 1979, and they would spend the next 39 years together creating their legacy. His biggest passion in life was his carpentry work. He loved doing woodwork, remodeling old homes, and most importantly doing trim work. David has done trim work throughout the entire state, for large companies and small, but each job meant so much to him. When David was not working with wood he enjoyed, feeding the birds, watching the wildlife on his property, watching the Michigan State Spartans, golfing, and traveling with his wife, Marilyn. Attending his grandchildren’s sporting events also meant so much to David. Even if the event was out of state, he could be found in the stands. David is survived by his wife, Marilyn; children, Jason Smith, Jennifer (Juan) Mena, Michelle Smith, Melissa Alvarado, David Jon Orrison Jr., and Melissa Jo; grandchildren, Benjamin, Adam, Elisabeth, William, Robert, Juan, Bonifacio, Casey, and Josie; great-granddaughter, Emmalee; siblings, Donna Gutchess, Janet (Ken) Embury, Michael (Connie) Orrison. David was predeceased by his parents and daughter, Karen Orrison. Friends and family are encouraged to share memories of David on his tribute page at PrayFuneral.com. 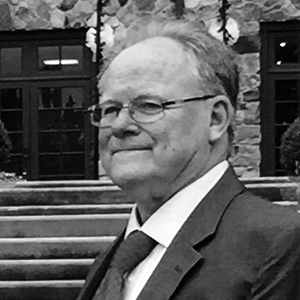 Mitchell Bruce Jenson, 64, of Lansing, formerly of Charlotte, went home to his Heavenly Father on Thursday, December 13, 2018 in Lansing after a brief illness. Mitch was born August 19, 1954, the son of Noel Arnold and Eileen Marie (Walch) Jenson. Mitch was employed at A/E Hoover from 1973-1988, Carefree Aluminum from 1992-1998, and nine years at Spartan Motors, retiring in 2004 after an injury. Mitch enjoyed many things in life, including travelling, working in his garden, hunting for “one of a kind” treasures at yard sales, estate sales and Goodwill. He was a great cook and made wonderful mac-and-cheese his family so enjoyed. He loved being a clown for 10 years, bringing joy to children and nursing home residents alike. Mitch was a Chairman for A.A. and helped so many in their struggles for sobriety. He was a lifetime member of the Charlotte Eagles and a 10-year member of the Charlotte Clown Club. He would give you the shirt off his back and helped those in need. Above all, Mitch was a man who had great love and compassion for his family and friends. Mitch is survived by his daughter, Sunrae (Royce) Hummel of Lake Odessa; sons, Jesse (Lindsay) Jenson of Lansing and Jimmy Chu; grandchildren, Jazlyn Jenson-Cook, Kiana Hummel, and Brodi Jenson; lifelong friend, Jimmy Truax of Lansing; brothers, Charles Jenson and Joe (Terri) Jenson, both of Charlotte; sisters, Cecil Jenson and Karen (LeRoy) Halliwill, both of Charlotte; brother-in-law, Blane White of Charlotte; Eugene “Hector” Hayes, known as “Dad;” several nieces and nephews; and his beloved dog, Ralph, who was his special companion. He was predeceased by his parents; brother, Neil Jenson and sister-in-law, Minnie Jenson; sister, Sharon White; and brother-in-law, Coy Cousins. Funeral services were held on Wednesday, December 19, 2018 at Pray Funeral Home, with Marty Garn officiating. Interment took place in Maple Hill Cemetery. If desired, the family suggests memorial contributions to the Ingham County Humane Society. Friends and family are encouraged to share memories of Mitch on his tribute page at PrayFuneral.com. Sharon Lynn Lamb, 60, of Charlotte passed on to heaven with her Lord and Savior on Monday, December 17, 2018 while surrounded by her loving family. Shari was born the daughter of Merlin and Charlotte (Martinson) Gay. She married Elden Lamb on October 20, 1979 and they enjoyed 39 years of marriage. Together they raised two daughters, Shaina and Shelby. Shari loved singing contemporary Christian music. She toured internationally with the Continental Singers of California and later toured neighboring states with a solo music ministry. 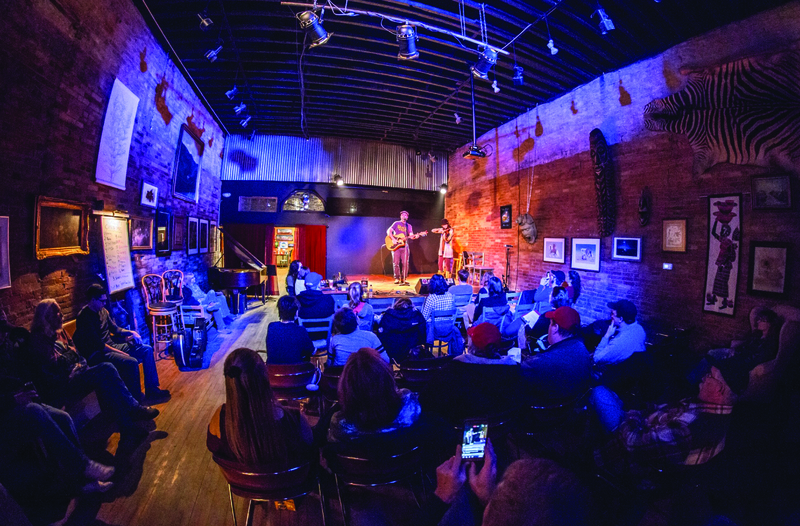 One of her singing highlights was recording an album in Nashville, Tenn. at Dolly Parton’s recording studio. Shari faithfully served as secretary at First Baptist Church in Charlotte for over 25 years where she lovingly assisted and impacted all those who came through its doors. Shari had a genuine gift for helping others and consistently carried a torch of kindness, generosity, compassion, and gratitude throughout her church and community. Over her many years of ministry within the church, Shari likely prepared over 1,300 weekly bulletins highlighting the church’s worship and outreach activities. After retiring in May 2018, Shari and Elden lovingly spent the following months on Silver Lake in Traverse City enjoying all things summer, including boating, cruising in the Mustang, kayaking, dining, sharing time with family, and landscaping. Shari’s true passion was her family. She was a devoted wife and mother and thoroughly enjoyed times when the family could all be together, especially the weddings of both daughters in 2017. Until reunited in heaven, Shari leaves behind her husband, Elden; daughters, Shaina (Mark) Tavares of Stamford, Conn. and Shelby (Tyler Huizenga) Lamb of Mason; father, Merlin Gay of Everett, Wash.; siblings, Stephen (Karen) Guye of Loomis, Calif., and Sharleen (Dean) Kato of Bellevue, Wash.; nieces and nephews, Koby (Makenzie) Guye, Ashley Robinson, Alex (Annie) Kato, and Stefanie (Colin) Kosco; and many cousins. She now joins her mother, Charlotte Gay. A memorial service will be held on January 11, 2019 at 11 a.m. at First Baptist Church of Charlotte, with Pastor Chuck Moore officiating. Visitation will begin prior to the service at 10 a.m. If desired, memorial contributions may be directed to the Reflex Sympathetic Dystrophy Syndrome Association (RSDSA), an important cause for Shari and the Lamb family. The family is being served by the Burkhead-Green-Kilgo Funeral Home in Charlotte. 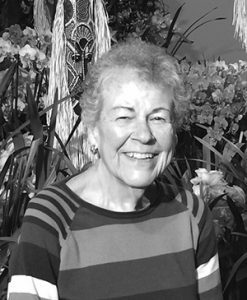 Janet Harms passed away on Thursday, December 6, 2018. She was born the second daughter of Lovaughn and Everett Harms, and grew up on the family farm near Sunfield with her five siblings: Judy, Bob, Ned, Ted and Carl. She attended Sunfield High school, where she helped start the girls basketball team along with her sister, Judy. Jan played forward and was one of the stars of the team. 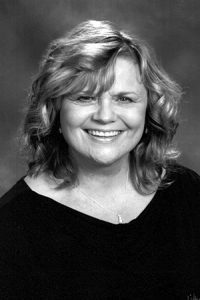 After graduating, Jan went to Manchester College in Indiana, where she earned her teaching license for the states of Indiana and Michigan and also received a master’s degree from Michigan State University. Jan began her career as a high school teacher in Edwardsburg, Mich., then took a position at Charlotte High School, where she taught for 30 years. She specialized in office subjects and Physical Education, and also coached the girls’ volleyball teams for many years. During her early years as a teacher Jan went on a European trip with friends, returning home with a Volkswagen Karmann Ghia, a painting of the Sacre Coeur in Paris, and many fond memories. She played golf for many years, and contributed her beautiful singing voice to the GFWC Women’s Club Choir and Eaton Area Senior Center Chorus. 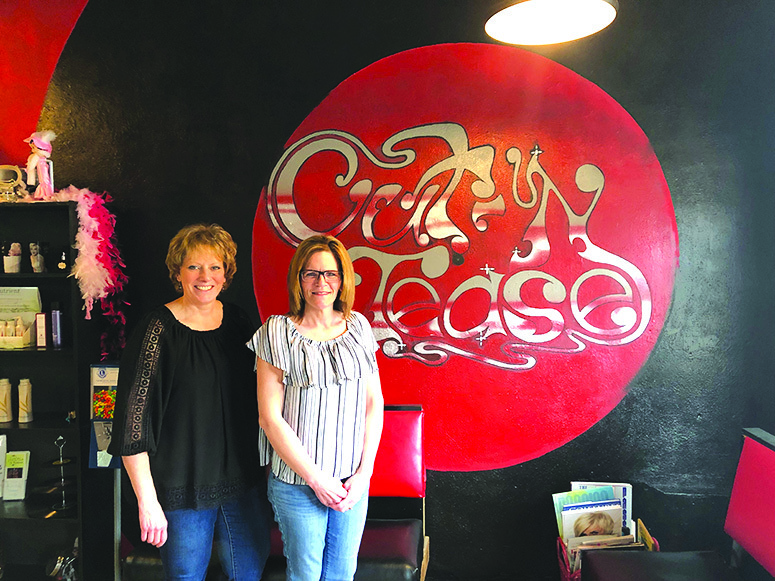 Jan was a favorite of her nieces and nephews: David and Susan Harris, Laurie Harms, Charlie Harms, Courtney Barry and Kimberly Garvey, Wendy Hamilton, Carl Jr. and Tyler Harms. At Christmas each year she flew to Santa Barbara, California to spend the holidays with her sister Judy’s family. Her arrival marked the beginning of Christmas for everyone. After retiring from teaching, Jan helped found the Eaton Area Senior Center in Charlotte, where she spent many hours volunteering and playing cards with friends. She was always up for a game of cards, whether a competitive game of bridge or hearts with friends, or a silly game of go fish with nieces and nephews. Jan was dearly loved by her family and friends. She was unfailingly kind and thoughtful, supporting others with her combination of positivity and practicality. She helped care for several close friends and family members during times of sickness. She will be enormously missed, and remembered for her sense of fun, her wonderful laugh, and her concern for others. A celebration of life will be held May 25, 2019 at 11 a.m. at the Eaton Area Senior Center in Charlotte. Donations in Janet’s memory can be made to the Eaton Area Senior Center.